As a growing business now operating our own label brand of crisps alongside primarily specialising in the export of British food and drink, Smylies are delighted to be launching our own brand of dairy products! Using our experience in the food and drink industry, we have come up with the perfect dairy products for our current market. Our attention to detail has enabled a process using the best quality ingredients to produce great tasting cheese and yoghurt. At Smylies we cater for everyone’s taste, and this is no different when it comes to our new delicious cheeses. The King’s Dairy cheese is suitable for vegetarians, and is gluten and GMO free, all made here in the UK. Offering a variety of tastes and flavours, our cheeses range from a mild White Cheddar to a crumbly Red Leicester in a 200g packaging size. Check out our complete range of The King’s Dairy cheeses. Alongside our new cheese venture, we are introducing The King’s Dairy Greek-style yogurt, a bio-live product with no artificial ingredients. In a 450g pot, you can indulge in flavours such as natural, strawberry, toffee, mixed berry, honey, and vanilla, all made with British cow milk. With more flavours coming soon, here at Smylies we offer our variety in a thick and creamy texture which is high in protein and gluten and GMO free. To discover more flavours coming soon, you can get more information on our yogurts. At Smylies we have a growing brand, so why not take a look at our other label The King’s Deli, supplying premium British hand cooked crisps? 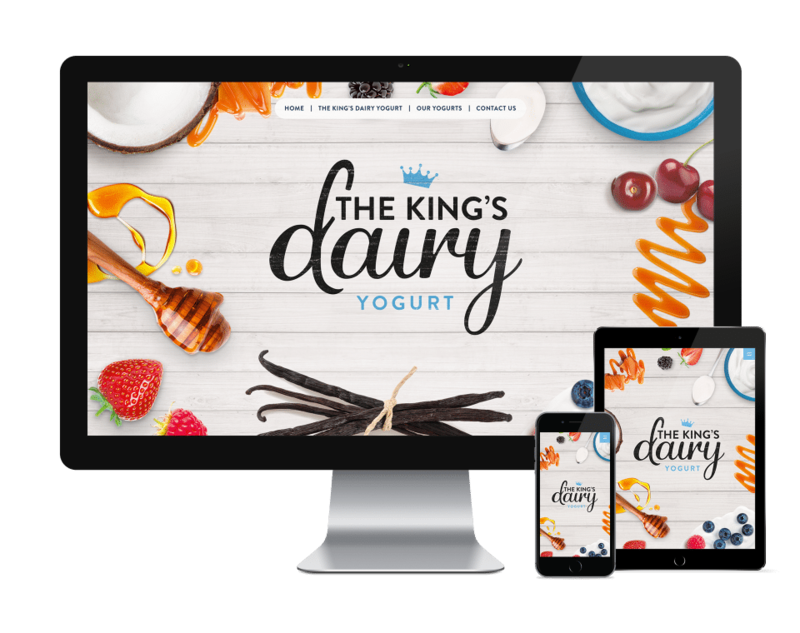 If you would like to find out more about our own products, then get in touch with our dedicated team who will be happy to help you with any enquires you have on The King’s Dairy. Opt to work with one of the UK’s leading export companies. Call us directly on 0330 134 7319, or if you can’t talk right now then feel free to contact us online and we will get back to you.